France occupied all of Vietnam by 1884. Independence was declared after World War II, but the French continued to rule until 1954 when they were defeated by communist forces under Ho Chi MINH, who took control of the north. US economic and military aid to South Vietnam grew through the 1960s in an attempt to bolster the government, but US armed forces were withdrawn following a cease-fire agreement in 1973. Two years later North Vietnamese forces overran the south. Economic reconstruction of the reunited country has proven difficult as aging Communist Party leaders have only grudgingly initiated reforms necessary for a free market. Vietnam is a poor, densely populated country that has had to recover from the ravages of war, the loss of financial support from the old Soviet Bloc, and the rigidities of a centrally planned economy. Substantial progress was achieved from 1986 to 1996 in moving forward from an extremely low starting point - growth averaged around 9% per year from 1993 to 1997. The 1997 Asian financial crisis highlighted the problems existing in the Vietnamese economy but, rather than prompting reform, reaffirmed the government's belief that shifting to a market oriented economy leads to disaster. GDP growth of 8.5% in 1997 fell to 6% in 1998 and 5% in 1999. Growth continued at the moderately strong level of 5.5%, a level that should be matched in 2001. These numbers mask some major difficulties in economic performance. Many domestic industries, including coal, cement, steel, and paper, have reported large stockpiles of inventory and tough competition from more efficient foreign producers; this problem apparently eased in 2000. Foreign direct investment fell dramatically, from $8.3 billion in 1996 to about $1.6 billion in 1999. Meanwhile, Vietnamese authorities have moved slowly in implementing the structural reforms needed to revitalize the economy and produce more competitive, export-driven industries. The tropical belt of the Northern hemisphere, from the 8030 to 23022 North latitude, enjoys very favourable geographic and climate conditions for coffee, which is the key reason for Vietnam's reputation of its specific coffee aromatic flavour. - The North runs north from the pass and includes 4 regions: Viet Bac-Dong Bac, Tay Bac, Thanh-Nghe-Tinh, Binh - Tri - Thien; has milder climate with cold winter and showers, is suitable for Arabica cultivation. The North is now the main land under the plan of Arabica coffee development. 25 years ago the State started to pay sufficient attention to coffee development with the two pilot provinces of DakLak and Gia Lai-Kontum on the Western Highland. The actual area under coffee in Vietnam at that time was merely less than 20,000 ha of low productive coffee with the annual output of approximately 4,000 or 5,000 ton. By the year 2000 Vietnam have developed to 500,000 ha under healthy and high productive coffee that brings about more than 800,000 tons each year. Such a dramatic development is far beyond the initiatives, objectives and strategy of the industry. It is very clear that the total coffee area actually start its hasty growth since mid-1980s. In 1992 international coffee prices sank to its bottom as all producers sold out their stocks that had been retained under the strict export quota policy set by the ICO. After the difficult year coffee prices quickly recovered and gained its peak in 1994 and 1995. Realising the huge profit from coffee Vietnamese people of different levels from farmer to officer and from provinces and cities rushed to buy land for coffee plantations. And as a result area and production gradually increased and have amazingly boomed to the record highs in the last few years. The development was under the regulation of the market and beyond the government's control and targets. After 1975, when Vietnam started to pay substantial attention to coffee, there were merely a few small rusty and patchy processing stations. 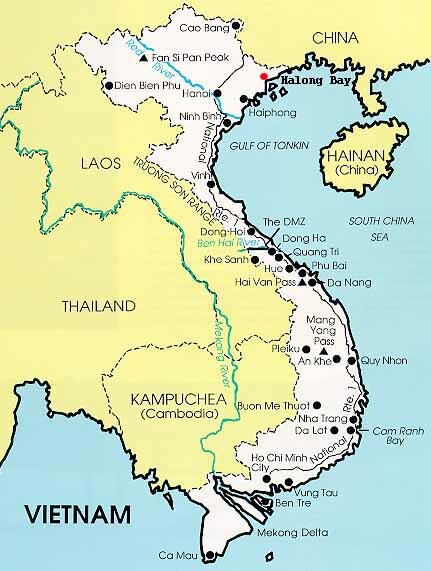 In the North, we had two in Dong Giao district and Phu Quy district, which were German-made and installed since 1960 or 1962. In the South, a number of stations belonging to old trade farms namely Rossi, Delphante still remained but with low capacity. Along with the decision to expand coffee growing area, Vietnam have been setting up a series of new processing stations, beginning with some separate equipment and then with local made production lines copied from designs of Hangxa group like in Machinery Factory 1/5 of Hai Phong City, Factory A74 of Ministry of Industry in Thu Duc district, Ho Chi Minh City... And recently a number of advanced and complete stations were built up by companies and farms with equipment imported from Germany and Brazil, and a series of over 10 production lines was imported from Brazil?s Pinhalense Manufacture. Now there are some assembly workshops for local made machinery copied and advanced from Brazil?s designs. The processing capacity of each station which was built within the last 5 to 7 years with advanced and high quality equipment is estimated at approximately 150,000 to 200,000 tons of green bean for export per year. Besides, there are several reprocessing stations which are mainly equipped with separate machines to reprocess the preliminary-processed coffee gathered from farmers in order to comply with export quality standards. In households, coffee cherry is harvested and treated separately by sun drying on cement yards or merely on the ground, and then hurled by small hurling machines before being gathered by agencies and stations. This practice of processing leads to unsteady quality. Meanwhile, coffee produced by companies and farms such as Thang Loi Coffee Company, Phuoc An Coffee Company, and Viet Duc Company etc. is highly ranked by foreign customers, especially in term of appearance and quality. For many years Vietnam?s exporters have sold coffee on the normal and simple terms and conditions as agreed in the contracts, with no reference to the State Quality Standards, which as a result creates no intension and encouragement for the improvement of processed coffee quality and processing technology. - The Association of Coffee Producing Country (ACPC) approved the proposal of Central American producing countries to eliminate a proportion of coffee of lower quality from the world market, and took this as one efficient measure to balance supply and demand. - EU members are expected to start applying the new and stricter restriction level of Ochratoxin A contamination for coffee on January 01, 2003, and by this step keep a big quantity of contaminated coffee out from the world market. Vietnam coffee, thus, has to make a radical change to the processing industry in order to keep its existence and its sustainable development. A major part of Vietnam coffee production currently belongs to Robusta and dry processing is the most common. After harvesting, farmers make full use of sunlight for drying coffee. In cases of long and continual rains during harvesting season, people have to use drying rooms powered with coals or firewood? There are just a small number of coffee enterprises using wet processing but without soaking or fermenting and using mechanical methods for mucilage removing instead. And for the small part belonging to Arabica coffee, State owned enterprises usually use wet processing. The equipment and production lines are mainly imported from Brazil, some from Germany? The Sortex color sorter is really popular in Vietnam as well. Of the 5 new Vietnam Standards, TCVN 4193 : 2001 provides radical changes to coffee grading system, replacing the traditional method based on some simple criteria by an internationally overwhelming defect counting system. For the past 20 years, Vietnam coffee industry has gains substantial achievements with its annual production increasing hundreds times, about which much has been discussed. The reasons for such achievements have also been defined, and firstly thank to the renovation policy of the State in line with the desires of farmers of earning their life on their own land and basing on their own hard-workingness. Regarding objective reasons, we should note that coffee prices were moving in a good way for producers, the price continually increased and as a result farmers? income substantially rose. It is the main reason for the rapid development of Vietnam coffee industry. And the adverse influence of such a dramatic development is the over enlargement of coffee area that is currently beyond the control of the coffee industry. The foremost objectives of coffee industry set forth in 1980 with the target of bringing the total area under coffee to the number of 180,000 ha and with the annual production of 200,000 tons. After some adjustments the figure merely reached 350,000 and then 450,000 ha. The actual situation is not up to anyone?s predictions; the 2000?s survey showed that the figure had reached 520,000 ha with the production of approximately 900,000 tons. This figure came to the surprise of many people, even senior experts of Vietnam coffee were of no exception. And it is accused to have made a notable contribution to the current over-production of the coffee world, and consequently, to the drop of the world prices toward the record low over the last few decades. For the crops before 1998/99 the annual growth of coffee exports was not very high but in the two crops 1999/00 and 2000/01 export increased by 200,000 tons each, i.e. by 3.5 million bags. And the export prices for the two crops dropped to the disastrous low with each crop?s price equal to approximately 60% of the previous crop. Vietnam?s FOB slipped down to USD 380,8/ton in the 3rd quarter of 2001, and to USD 321/ton by the 4th quarter, equivalent to just a half of production cost. Farmers, thus, are now facing a series of difficulties and many will not be able to keep on bearing if the situation lasts longer, and this shall lead to an indispensable result of reluctances of any care for the plantations as well as harvesting work, that in its turn leads to coffee degradation, and to coffee uprooting and replacing by other crops. In such a situation, since 2000 Vietnamese Government has been taken a series of actions to help farmers overcome current difficulties including financial efforts of mobilization from the State budget to purchase coffee at reasonable prices for its own retention plan; releasing agriculture taxes for land under coffee; lengthening loans; providing soft loans for maintenances of coffee plantations or replacement by other crops etc. These considerations paid from the Government are warmly welcome by coffee farmers and by the whole coffee industry as well. However the financial capacity of Vietnam is limited, that leads to several difficulties. The utmost importance is that the Government has worked out a concrete orientation for the coffee industry, and the adjustment of such an orientation is now considered of high importance to the development of Vietnam coffee industry. The current oversupply has adversely influenced the industry, yet there are good effects in some aspects. E.g. in no better situation than such a depressed situation can coffee people realize their remaining backwardness, and draw out a more corrective orientation. Area and production of the whole country belongs to State-owned enterprises, including central level and provincial level ones. The major part of 85-90% belongs to small households or farm owners with plantations of normally from 2 to 5 ha under coffee. There are some farmers owning bigger plantations of 30 to 50 ha but actually not many. The State owned Vietnam National Coffee Corporation (VINACAFE) is the biggest member of VICOFA, operates in large-scale with over 60 member companies, enterprises, farms? VINACAFE annually exports more than 20-25% the total coffee production of the whole country. There are other companies and enterprises located in DakLak, Gia Lai, Lam Dong, Dong Nai, Phu Yen, Binh Duong Province, Ba Ria- Vung Tau City, Ho Chi Minh City, Hanoi, Son La, Yen Bai, Lai Chau, Thanh Hoa, Nghe An, Quang Tri Province etc. and engaged in Robusta and Arabica production and export. According to the VICOFA's report for crop year 2000/01 (from October 2000 till September 2001) the export by 44 VICOFA's Members reported frequently to the Association reached 744,451.94 tons, or 81.11% out of the total 874,676 tons exported by 149 exporters of Vietnam. Of the 149 export companies 78 are VICOFA's full Members taking the volume of 793.363 tons, i.e. 90,7%, and the remaining 71 are non-members with the volume of 81.313 ton, i.e. 10,3%. With the total area currently in excess of 500,000 ha, with the annual production of over 10 million bags, coffee is ranked the second after rice in the list of agriculture exports from Vietnam. And with such half a million hectares, the coffee industry attracts approximately 300,000 households with over 600,000 farmers and workers, which may soars to 700,000 or 800,000 during the three months of harvesting period, making up for approximately 1.83% of the total labor force across the country and 2.93% of the agriculture labor force.